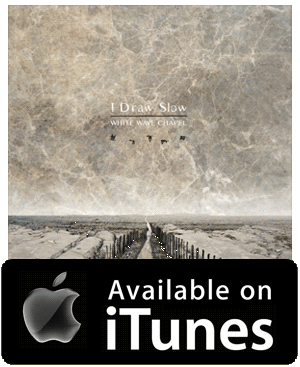 ‘White Wave Chapel’ is the third album from Dublin’s I Draw Slow, a bluegrass group making serious ripples at home and overseas. The album, released just this past Friday, 21st February, seems so far looks to be a success among both critics and the public, climbing into the Top 5 of the iTunes Irish album chart following its release. Though their music is rooted firmly in bluegrass, country and American folk, the Irish trad influence is unmistakable, and though they don’t venture into pop territory, I Draw Slow still certainly retain the attention of even casual venturers into the genre. Tracks such ‘Don’t She Run’ and ‘The Captain’ remain great songs, no matter what kind of music you’re into, driven by the infectious upright bass of Konrad Liddy and iced with Louise Holden’s delightful harmonised vocals. The album throughout is a pleasant toe-tapping blah of energy, but it’s the wonderfully restrained ‘Souvenirs’ that captures me, a song that seems to somehow occupy that same nostalgic part of my brain that Fleetwood Mac’s ‘Landslide’ took for itself years ago. Perhaps it’s the contrast from the eternally-cheerful rest of the album, but this track wound up being the highlight for me, with ‘Old Wars’ striking another beautifully understated note to close the album. These two stripped down tracks aside, the remaining songs waltz by with a charming ardour, and though not my usual fare, make the album an altogether satisfying experience. The album launch for ‘White Wave Chapel’ takes place in Whelan’s on Saturday 1st March.